Robert P. Collins is the CEO of the Robert Collins Group Inc. He founded the group to help highly talented CXO leaders in manufacturing, biotech, healthcare, food services, professional sports and entertainment achieve key initiatives in selecting the right leadership team and creating an effective organization with a culture that contributes to extraordinary performance through superior results. Prior to the Robert Collins Group, Mr. Collins was the Senior Vice President and Chief Administrative Officer of Zep Inc. where he was responsible for human resources, organizational development, domestic and international business development, product innovation, legal, information technology and mergers/acquisitions. With revenues in access of $700 million, Zep was traded on the New York Stock Exchange until New Mountain Capital purchased it on June 26, 2015. Mr. Collins retired from Zep on July 3, 2015. Previously to Zep, Mr. Collins was Corporate Vice President and Chief Human Resources Officer for Serologicals Corporation where he participated in a five-year transformation that produced 600% revenue growth, eightfold increase in market capitalization, 3 times market share expansion and an EPS CAGR of 32%. Before Serologicals Corporation, Mr. Collins held several executive roles including Partner, Ray & Berndtson, President and COO Vision Twenty-One, Inc. and he spent 12 years with Magellan Health Services holding various executive positions. Mr. Collins is a Lecturer in Management at the Michael J. Coles College of Business at Kennesaw State University. He is a member of the Human Resource Leadership Forum and serves on its Finance Committee. He is also the Chair of the Board of Trustees of Mount Pisgah United Methodist Church. In addition, Mr. Collins is the Chair of the Advisory Board of Lead5, Inc. Mr. Collins received his Bachelor of Science degree in Business Administration and Economics from Rollins College in Winter Park, Florida. Camry has worked in the employee benefits field for the past 14 years in a variety of roles. Her current position is vice president of consulting and sales with Northwestern Benefit Corporation. In this role Camry provides strategic direction, coaching and oversight of the sales team and the employee benefit consulting teams, to include consulting, account management, wellness and analytics roles. Camry speaks frequently throughout the state on the Affordable Care Act and other aspects of employee benefit planning. Camry was recently recognized by Employee Benefit Advisor magazine as one of the Most Influential Women in Benefit Advising. Camry holds the Registered Health Underwriter (RHU) and Registered Employee Benefit Consultant (REBC) professional designations. Camry is a member of SHRM and ISCEBS. She currently serves on broker advisory councils for BlueCross BlueShield of Georgia, CIGNA, Kaiser, United Healthcare and Humana. Camry is a former board member for the Georgia Chapter of ISCEBS, serving as program director in 2012 and 2013. Prior to joining Usher’s New Look as President, Yvette Cook served as Senior Vice President, Chief Marketing Officer for the United Way of Greater Atlanta. She is a highly accomplished visionary executive with an outstanding record of leadership and success, spanning over 20 years, in both not-for-profit and profit organizations. Yvette received her BA in Public Affairs and Political Science and a MA in Mass Communications from the University of Denver. She is a Leadership Development Graduate from the Center for Creative Leadership and holds a Certificate in Professional and Personal Coaching from CAPP Institute. Today, Yvette serves as the second president in the 15-year history of Usher’s New Look. Julie has over 30 years of experience as a Finance and Operations leader for Deloitte, a $15B National and Global professional services firm. Her experience has spanned the Audit, Consulting and Shared Services businesses where she has led multiple operations and programs in the United States and India serving 60,000 professionals. Julie has deep knowledge and expertise in the areas of business transformation, organizational design, process/performance Improvement, service excellence and financial management. Formerly, she led Deloitte’s Woman’s Initiative for the Operations organization where she developed programs to promote the advancement and retention of women. Julie is the Board Chair and President of the Midtown Atlanta Rotary Club and Foundation. She also serves as Treasurer and Director on the Board of the Fine Arts Alliance at Holy Innocents’ Episcopal School. Julie received her Bachelor of Business Administration degree with a concentration in Accounting from Auburn University and earned the designation of Certified Public Accountant. Catherine began her career in the hotel industry serving in several leadership roles with InterContinental Hotels Group over 14 years. She designed award winning global internal branding engagement programs, oversaw diversity and inclusion strategy, supported the launch and opening of several hotel brands and was part of the leadership team recognized as The Best Training Organization by American Society of Training & Development in 2012. In 2014 Catherine served as the Vice President, Strategic Human Resources Business Partners at Popeyes Louisiana Kitchen. Catherine was responsible for directing the brand’s people strategy and initiatives. Catherine and her team worked closely with leaders in the restaurant support center and restaurants in the areas of talent management, leadership succession and total rewards. She enjoyed partnering with Operations and Marketing to transform the employee and guest experience. Most recently, Catherine was appointed Chief People Officer at The Krystal Company. Catherine leads a dynamic team of HR professionals serving over 350 restaurants and 7000 employees; focusing on company culture and career development. Catherine’s personal purpose is to help individuals and teams rock it! She fuels her purpose by serving on the School of Hospitality Industry Board at Georgia State University, the Advisory Board for VOX Teen Communications and mentors emerging leaders for LEAD Atlanta. Catherine serves on the Governing Body for the Atlanta CHRO Leadership Summit and the Board of Directors for SHRM Atlanta. She most recently was appointed to the Board of Directors for 410 Bridge. Catherine is an advocate of continuous development; earning her master degree in business administration in 2010 and is a proud member of Leadership Atlanta Class of 2014. In 2016, Catherine was named one of the Most Powerful and Influential Women by the National Diversity Council. Catherine loves adventures with her two teenage daughters. She enjoys Zumba, is a wine aficionado and aspires to explore every spa experience that exists in the world. Helene Lollis is the president and chief executive officer of, an organization that partners with clients to develop top-tier talent through mentoring and leadership development, with special expertise in developing high-potential women. She guides strategic direction and program development, provides high-level partnership with clients, and represents Pathbuilders in the community. Trained as an engineer, Helene spent 12 years with Amoco and then BP Corporation in plastics process design, product development, marketing, strategic planning and company mergers and acquisitions. Helene is frequently invited to speak on the topics of mentoring, women in the workplace and career planning. She has been published in HR Magazine, Diversity Executive, and Talent Management and has been featured in The Wall Street Journal. Extremely active in the community, Helene is a past chair and on the executive board of Junior Achievement of Georgia. She also serves on the Board of Trustees for the Woodruff Arts Center and chairs its Women’s Giving Circle, and she serves on the NC State Engineering Foundation Board. She has previous board service with the Metro Atlanta Chamber, SHRM-Atlanta and the Atlanta Rotary Club. She is a graduate of Leadership Atlanta and a member of the International Women’s Forum and the Women’s Presidents Organization. Helene was awarded the Gold Leadership Award by the Junior Achievement USA Board of Directors for her service to JA. She was named a “Woman Worth Watching” in Profiles in Diversity Journal, a Business to Business Woman of Excellence honoree, a POW! Purposeful Woman, and the Guiding Star from the Emory’s Executive Women of Goizueta. Helene served as a subject matter expert and session chair focused on mid-career issues at The Wall Street Journal Executive Task Force on Women in the Economy. She received her bachelor’s and master’s degrees in chemical engineering from N.C. State and Purdue Universities. Lars N. Minns is currently the Head of HR for Mercedes-Benz, USA’s with responsibility for the US, Canada, and Mexico. He joined the company in March 2015. He currently leads the organization in designing, implementing, and executing HR strategies that directly align with the company’s strategic objectives for the Sales, Marketing, and Distribution of passenger cars in the United States, Mexico, and Canada. He and his team have played a pivotal role in the successful onboarding of 300+ new employees since his arrival – the largest 1-year hiring the company has experienced in its 50+ year history. He and his team are now poised to lead one of the world’s most admired brands through a large-scale transformation. Prior to joining MBUSA, he served as the Sr. Mgr. of Talent Acquisition for The Home Depot’s At Home Services commonly referred to as the “Do it For Me” business. He led his team in executing talent acquisition strategies for the company’s fastest growing business segment.Lars spent 10 years with The Home Depot and served in roles of increasing responsibility. Most notably serving as the Sr. Mgr. of Talent Management for Operations, Services, Finance, and IT. He led all facets of Talent Management and supported those business areas in several large-scale transformational efforts aimed at increasing overall operational efficiencies. He supported the company’s Supply Chain from 2010-2012, where his talent management and consulting skills were dedicated to the logistics side of the retail business. Top talent succession planning, assessment, selection and development were some of his primary responsibilities. Early in his tenure with the company, he led the design and execution of the Company's Executive Coaching program, the CEO’s Merchandising and US Retail focus groups, various Exposure and Leadership development programs, along with other enterprise-wide initiatives. Before joining the Company, Lars held various roles in IT consulting sales and recruiting during the .com and Y2K eras. Lars is a sought-after presenter and facilitator and spends considerable time communicating the importance of cultivating the right talent for business success. He is a current board member of Page Turners make Great Learners. Lars earned a bachelor’s degree in business management from Hampton University in Hampton, VA. A native of Nassau, Bahamas, he is married to Moya Minns, calligrapher and owner of MM Ink Studio; they reside in Sandy Springs, GA with their three children – Landyn, Latham, Lian. DeRetta Cole, PhD, is currently the Senior Vice President of Human Resources for the Atlanta Braves. Previously DeRetta was the CHRO at the YMCA of Metro Atlanta as well as the Vice President of Human Resources for Turner Broadcasting Systems supporting Global Technology Operations. While at the YMCA, she led the organization’s thought leadership and implementation of all aspects in talent selection and development, succession planning, risk management, HR systems and career path initiatives across the organization. Before joining Turner, DeRetta held leadership roles with Ernst & Young, ADP, HomeGrocer.com and YUM Brand. DeRetta received her undergraduate degree from University of Georgia, her Master’s in Business Administration from Clark Atlanta University and her PhD in Adult Education from University of Georgia. She is a certified facilitator for the Benchmark 360 assessment by the Center for Creative Leadership and is a qualified facilitator for the Myers-Briggs Type Indicator (MBTI) and HOGAN Assessment. She currently serves as a board member to the Urban League of Atlanta and Co-Chair of the Personnel committee, Chair of the Leadership Development MIG of International Leadership Association. Thomas Spahr is vice president of talent management and development. He is responsible for succession planning, selection and assessment programs, organizational development, performance management, associate listening tools, the design and delivery of the training and development programs. Tom joined the Company in 2000 as divisional human resources manager. He has held roles of increasing responsibility including director of talent management, director of human resources, vice president of human resources for the northern division, and vice president of talent management and organizational effectiveness. Most recently, he was vice president of learning and development. Prior to joining The Home Depot, Tom held various leadership positions within human resources and operations at national home improvement retailers Builders Square and Wickes Lumber Company. Tom has a bachelor’s degree in communications from the State University of New York at Albany. He currently resides in Atlanta, GA with his wife Sandra, and twin daughters, Emily and Erica. Robin leads talent management for WestRock which includes learning and development, talent acquisition, employee engagement, performance management and other activities that support employee growth and development. Robin joined WestRock in 2010 and has worked in talent management as well as an HR business partner supporting both operations and functional departments. Before joining WestRock, Robin worked in Human Resources leadership roles for Hitachi Consulting, Delta Air Lines and Macy’s. Robin earned a bachelor’s degree focused on business, communications and political science from Ohio University. She is actively involved in the United Way serving on the Tocqueville cabinet and the board of Wholesome Wave Georgia. Lynne Zappone joined Popeyes® Louisiana Kitchen as Chief Talent and HR Officer in April 2011. In this role she is responsible for the development and implementation of Popeyes talent management strategy and Servant Leadership culture initiatives. She also partners with marketing and operations on the development and execution of guest and employee experience initiatives. Lynne has over 25 years of extensive experience in global human resources, talent development and learning, and business management. Prior to joining Popeyes, Lynne served in a number of senior human resources positions with InterContinental Hotels Group (IHG) from 1998 to 2011, including her last role as Senior Vice President, Global Learning and Americas Human Resources. During her tenure at IHG, she was responsible for human resources business support and global talent development and learning. She managed the design and implementation of a “self-funded” training business model which resulted in topline revenues of $12M and delivered operating profit for reinvestment within 2 years. Lynne volunteers on multiple industry boards and committees and served as board chair for the Georgia Council for International Visitors. She has been recognized by the Georgia Diversity Council and Dress for Success for her commitment to developing woman. In 2011, her team was awarded ASTD’s #1 Best Company for Learning. They also received the CLO Business Impact Award and ASTD’s Excellence in Practice. Lynne holds a Bachelor of Arts in Education from Flagler College and Master of Arts in Organizational Leadership from the University of Phoenix. Lynne has been featured extensively in media and print publications and as a speaker at regional and national HR and Training conferences. A thought leader dedicated to attracting and developing high performing teams, she was profiled in CLO Magazine selected as a Rising Star in HR by HR Executive Magazine, and is the first CHRO featured on Undercover Boss. In her free time, she enjoys international travel and cheering on the University of Arizona Wildcats Basketball team with her daughter. Bear Down! Jeanne Artime brings over 24 years of experience in leading organizations, programs and key initiatives in both the non-profit and for-profit business arenas. 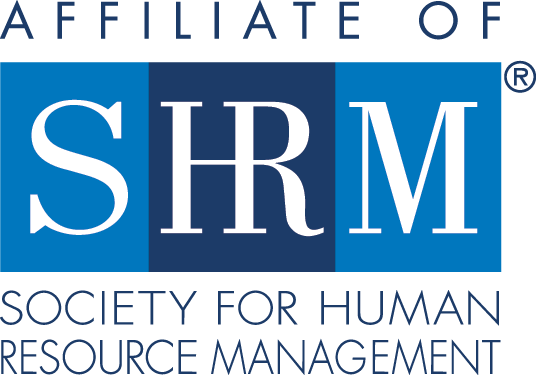 As CEO of SHRM-Atlanta, Jeanne leads a team of dedicated staff and volunteers to design and deliver quality member and resource partner experiences, drive business development and execute the organization’s mission. Prior to joining SHRM-Atlanta, Jeanne was the founding executive director of PowerMyLearning-Atlanta, where she established and scaled local program operations, business development activities, volunteer management and computer refurbishing for the local chapter of the national non-profit, PowerMyLearning. Previously, Jeanne held various leadership roles in alliance management, software product management and software sales at organizations including Pitney Bowes MapInfo, Broadvision/Interleaf, and IBM. Jeanne holds a B.S. in Computer Science and a B.A. in Art Design from Duke University. She currently serves on the PowerMyLearning-Atlanta Board of Directors, the Georgia Partnership for Excellence in Education Council and is an Education Policy Fellowship Program Fellow. Randy Gepp is recognized for handling management-employee relations problems. Mr. Gepp has more than 40 years of experience specializing in the areas of employment discrimination and labor relations. His practice consists of representation in employment discrimination, labor relations, contracts and administrative law matters before all federal and state courts, the Equal Employment Opportunity Commission (EEOC) and the National Labor Relations Board (NLRB). Mr. Gepp has extensive trial experience with more than 30 employment jury trials and many more bench trials before federal and state courts in Georgia, Florida, California, Alabama and many other states. He has achieved verdicts in favor of his clients in more than 90 percent of the cases he has tried. He represents employers and provides advice on claims filed under such statutes as Title VII, ADA, ADEA, FMLA, FLSA and WARN. He drafts employee handbooks, personnel policies and other employer documents. He is a member of Taylor English’s Employment and Labor Relations practice group. He was previously partner in the firm of Hollowell, Foster & Gepp P.C. starting in 1989 and managing partner from 2001-2009. He is a past president of the Labor & Employment Law Section of the Atlanta Bar Association and participates in the Employment Law Committee of the American Bar Association. He has been named a “Super Lawyer” in employment litigation by Atlanta Magazine in every year since 2004 and was one of the first Designated Specialists in Employment Law approved in Florida. He was appointed by several governors of Georgia to serve as a special master for the Georgia Office of Fair Employment Practices with responsibility for conducting trials based on cases brought by employees against state agencies. Mr. Gepp published a quarterly newsletter on employment and labor issues from 1990-1998 and frequently speaks on employment law and mediation topics. He has mediated or arbitrated more than 100 employment discrimination cases. Virginia brings over two decades of senior human capital leadership and consulting experience on behalf of global and domestic organizations. She aligns people solutions with business strategy by evaluating, designing and implementing optimal human resource partnerships and service delivery models. Companies for which Virginia has led human resources have been recognized as premier employers by a number of external organizations including Fortune magazine, Working Mother magazine, Training Magazine and the Atlanta Business Chronicle. Currently, she serves as Senior Vice President, Human Resources, for Post Properties, Inc. Her responsibilities involve management of all human resource areas, including health and welfare benefits, retirement services, payroll, compensation, employee relations, performance management, learning and development, and recruitment. Virginia is a board member and Executive Director of Post HOPE Foundation, Inc. She earned her undergraduate degree from the University of Georgia and attended the Wharton School where she was awarded the HR Business School certification. She also serves on the Human Resources Leadership Form (HRLF) Board of Directors, Parents at Westminster Board and teaches Sunday school to adolescent girls. Larry is the Co-Founder and the CEO of Jubi, Inc. Jubi, Inc. is a cloud-based learning transfer platform that enables corporations to drive large scale behavior change and performance outcomes using its’ proprietary "Learn-Do-Inspire" architecture. Larry started his career as an engineer in communications systems research, product development, and engineering management at Motorola, Inc. He became an early leader in the movement towards a more disciplined approach to the management of a firm’s knowledge when he was named the head of Knowledge Management at Motorola University, a role that served the entire enterprise. As Chief Learning Officer for the Cellular Division at Motorola Inc., The American Express Company, and Children’s Healthcare of Atlanta, Larry has developed innovative approaches to leadership development, knowledge communities, and integrated talent management. As a senior human resource leader and well-known change architect, Larry has vast, multi-industry experience in large complex organizations. His contributions have included development of talent strategies and implementation of company-wide programs that have led to measurable increases in employee engagement, retention, leadership supply, and organization capability. Larry is the co-author of the Wall Street Journal best-selling book “Networking is Dead: Making Connections that Matter”. He has been featured as the cover story in Chief Learning Officer Magazine and is a sought-after speaker on a broad array of organizational topics. Larry is a contributing author in the books “Courageous Training: Bold Actions for Business Results” and “Talent Management: Strategies from Six Leading Companies”. Mr. Malfitano is a senior level human resource executive with over 20 years in leadership positions at major Fortune 500 companies including Monsanto, Frito Lay and EDS. Currently, David is Vice President and Chief Human Resource Officer for Wayne Farms LLC, the 6th largest poultry company in the country. He is responsible for all aspects of Human Resources for approximately 9,000 employees at 10 Wayne Farms facilities and its corporate office. David’s focus on strategic human resource leadership has resulted in his team being recognized for best practices achieved in Performance Management and Change Management. He received his BS in employment relations and attended the Labor and Industrial Relations Master’s degree program at Michigan State University.